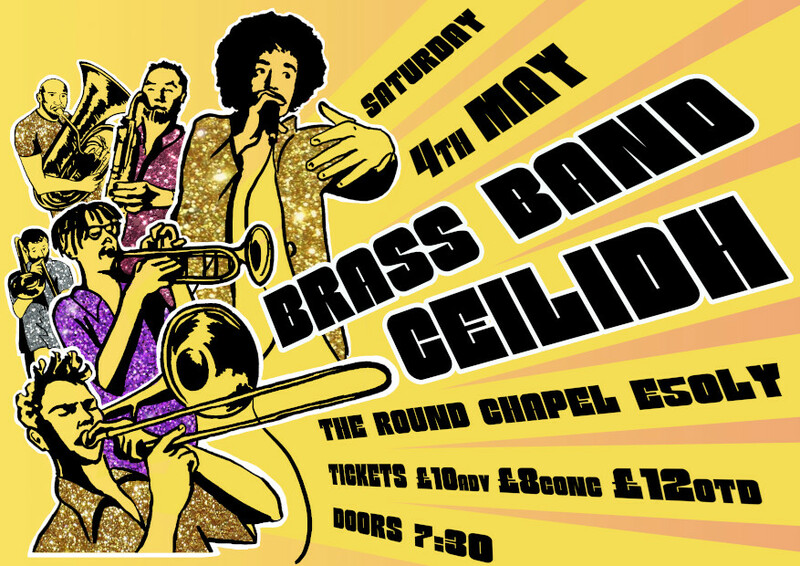 The world's first Brass Band Ceilidh! A highland fling with a New Orleans style brass band, we call it Funktry Dancing. Mixing traditional country dances with funky moves and 10-piece brass band, this night is guaranteed to be loud, raucous and fun. You know the tunes, our callers will teach you the moves and everyone gets down together. Bring your best hot step and your do-si-do, this will be one to remember. Born out of legendary ceilidh band Cut-a-Shine, we've run dances across the country from Cornwall to Glasgow and at every major UK festival for the last 15 years. This time round we're teaming up with Brixton's own Brasstermind, and our callers have created brand new dances guaranteed to put a dip in your hip and a glide in your right-hand star. There is nothing else like this, join us to strip the willow to the funkiest grooves around.